They seem incredibly soft, Nic - delicious! These are on my baking list, too! Thank you for joining WBD '07 After Hours Party. Hi Nic, great job with the baps. They're so easy to make, and like Jeanne said, chicken mayo is how my family like them too. Those are delicious looking Baps Nic!!! I may have to give them a try myself! 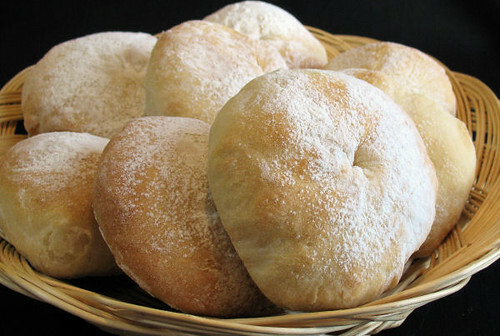 Pat - sometimes I just love soft bread! Zorra - thanks again for all the hard work you put into the event. Jeanne & Pam - my boys had them for lunch, not with chicken but that does sound good! Marie - you must try them! These look so delicious and fluffy. Mmmm.....throw in some tasty soup or melty cheese and good company...perfect. These look very soft and delicious, I love your blog. Bri, Soraya and Kelly - thank you so much!